Asking price was ONLY $265,000. A Very Popular downtown Victoria Condo Complex and this Condo that just sold is on the 8th Floor offering year round Day and Night Scene Views. JUST SOLD ONE BEDROOM 8th FLOOR CONDO IN THE SAVOY IN DOWNTOWN VICTORIA. WOW….Imagine Waking up to panoramic views of the Olympic Mountains to the South. Two Large Balconies to enjoy a morning coffee and overlook the city below. Huge almost 1,000 sq.ft one bedroom 8th floor condo. Corner unit with a Dining room window which also has distant views. Very Bright south facing Condo. Excellent home away from home for vacations or as a permanent home. Leave your car in the underground secure parking and walk to the Ocean Beaches, Beacon Hill Park, Downtown shopping, B.C. Museum, IMAX Theater, Tea at the Empress, Victoria’s Inner Harbour and all the activities there. This Steel and Concrete building is well maintained and professionally managed. Heat and Hot Water are included in the monthly strata fees. Depreciation report done. WHO ELSE WANTS TO SELL THEIR VIEW CONDO FAST AND FOR TOP DOLLAR? Hi Barbara Todaro Thanks, that's the plan. Fred Carver It comes as no great surprise that you have this condo sold already. It was certainly a super value. Enjoy your weekend! Hi Sandy, I agree. It was a good deal. Fred, congratulations, and remember right where Blanchard was! Keep em coming! 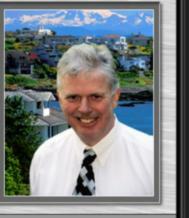 Sweet sale of the Victoria BC condo...wish I could buy one Fred Carver !